Improve the quality of the air and the overall look of your kitchen with this Golden Vantage Stainless Steel Euro Style Island Range Hood. This state-of-the-art unit features an LED display and it is made with only the best quality stainless steel. 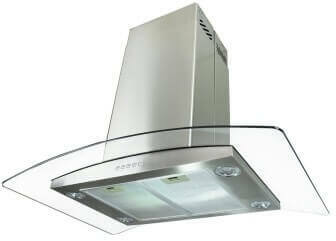 This 30-inch range hood has contemporary European design and a curved tempered glass wing makes it even more appealing. Four 2-watt LED lights bring more light to your kitchen. It has a strong air flow of 870 CFM and comes with a clock and a timer. This range hood comes with an easy-to-remove stainless steel layer-topped all-aluminum grease filter that can be cleaned in your dishwasher for fast and easy maintenance. A non-return air flap keeps heat from escaping when the unit is not being used. The telescopic chimney will accommodate ceiling heights of eight to nine feet. At 30 inches in dimension, it will fit in almost any kitchen. This unit tips the scales at 65 pounds, so it may take more than one person to install. Some of the reviews mention that the installation guide is somewhat vague at times and confusing. Be prepared to add extra support as drywall anchors are often not strong enough to do the job. Can this hood be used as a ductless installation? Of course it can, all you need to do is purchase charcoal filters and attach them to the range hood. They cost around $30 or so. I need details about the controls! You should check out the comment by a customer Behzad Rassuli to know more regarding this particular question There are other questions that customers have asked on Amazon, most shoppers don't bother checking them out, but in order to make an informed decision you should definitely take a look. All and all, this is a good range hood for the money and it comes with a 3-year warranty from the manufacturer, so you know you're getting a product that is made with quality that will last for years to come. 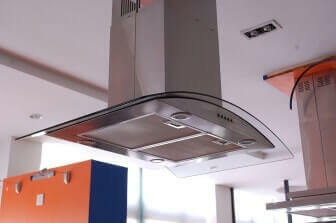 This range hood has been on the market for a very short time compared to the rest, and as such does not have a lot of reviews that consumers can use for research. 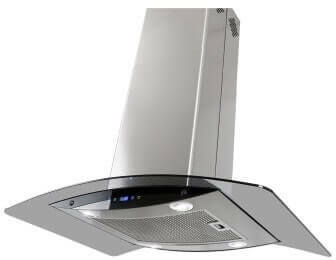 If you would like to read the reviews on this range hood so you can make a more educated decision, click here to read them.